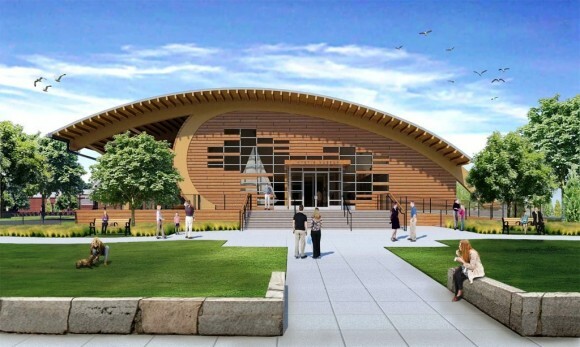 Along with a 5,000-square- foot exhibition gallery with a high ceiling for displaying boats, the building will feature visitor reception and events space, a retail shop, a café, and outdoor terraces overlooking the Mystic River. Leading the design team is Centerbrook partner Chad Floyd, who has worked on numerous cultural projects, among them the Hood Museum of Art at Dartmouth College, the Garde Arts Center, the Florence Griswold Museum, and the Eugene O’Neill Theater Center. Locate in Essex, Centerbrook Architects has a national clientele and was awarded the prestigious Firm Award from the American Institute of Architects. The building’s asymmetrically curving roof and end walls recall nautical themes while also establishing a contemporary architectural presence amid a recreated 19th century maritime village. Along with its existing neighbors, the building forms a sociable courtyard for outdoor gatherings, events, and concerts. Mystic Seaport, the Museum of America and the Sea, was founded in 1929 and is the home to the Charles W. Morgan, the nation’s last remaining wooden whaling ship. ESSEX – Barron’s, the acclaimed financial and investment newsweekly, has ranked John W. Rafal of Essex, Connecticut, number 7 on its Top 100 Independent Financial Advisors list for 2014. The Barron’s list of the Top 100 Independent Advisors was first launched in 2007. Mr. Rafal has appeared on the list each year. The Barron’s list evaluates America’s leading independent financial advisors, based on assets under management, revenue generated for the advisors’ firms, excellent client service and quality of practices. 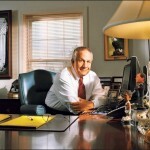 Mr. Rafal is the Founder and current Vice Chair of Essex Financial Services, which is owned by Essex Savings Bank. The ranking appears in the August 25 edition of Barron’s (www.barrons.com). Essex Financial Services is a wealth management firm serving the high net worth and institutional markets, and has $3.6 billion of assets under management or administration. Founded in 1851, Essex Savings Bank is a mutual financial institution chartered to provide a full complement of financial products and services including business banking. 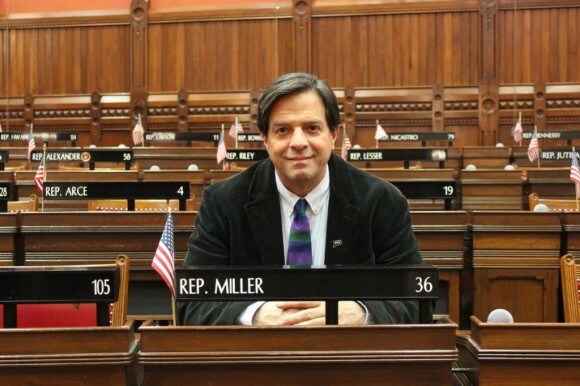 The Connecticut League of Conservation Voters (CTLCV) has named State Representative Phil Miller (D – Essex, Deep River, Chester, and Haddam) as a 2014 Legislative Champion for his leadership on GMO legislation and the statewide water plan. Rep. Miller also fought for $2 million in bonding for “The Preserve,” a large, rare coastal forest. The CTLCV released their 2014 Environmental Scorecard for the Connecticut State Legislature in August. The 15th annual release of such scores was bolstered by nearly 20 environmental bills that passed through the Connecticut General Assembly this year, providing an expanded base for scoring. Rep. Miller sits on the Environment Committee in the General Assembly. Rep. Miller was also a sub-committee co-chair of the Water Planning Summit’s subcommittee on Water Infrastructure and works as a naturalist and conservationist. Rep. Miller has a 96% lifetime score on environmental issues according to the League. The Connecticut League of Conservation Voters is CT’s leading environmental watchdog organization, which works to pass pro-environment laws, elect pro-environment candidates, and hold all elected officials accountable. CTLCV Scorecards dating back to 2000 can be found online at www.ctlcv.org/scorecard. The 135th Annual Chester Fair was again a showcase for amateur photographers from both near and far. A total of 73 adult and youth photographers entered a total of 292 prints at this year’s exhibition and competition. For those wishing to look ahead, in addition to the standard categories, ‘Architecture’ will be the Special Theme category for 2015. Hunger never takes a vacation, and during the summer months, as many are taking time off, local food pantries often see a sharp decrease in food drives. Fortunately, staff members at 16 local Webster Bank branches stepped up to fill the pantry shelves, with a “Stuff-A-Truck” food drive for The Shoreline Soup Kitchens & Pantries (SSKP). The August drive, held by Webster bankers from East Haven to East Lyme, was a big success, collecting 618 pounds of much needed household staples, such as soups, peanut butter, tuna, rice and beans. “We are so grateful that our friends at Webster Bank were able to organize this summertime food drive. The food SSKP received will help assure that those in our community who are facing financial difficulties will have a place to turn for food and fellowship. On behalf of all those we serve, who experience a community that cares each time they come to one of our pantries, I sincerely thank Webster Bank,” said Patty Dowling, executive director of SSKP. Webster Financial Corporation is the holding company for Webster Bank, N.A. With $22 billion in assets, Webster provides business and consumer banking, mortgages, private banking, trust and investment services through 166 banking offices; 311 ATMs; telephone banking; mobile banking; and the Internet. Webster Bank owns the asset based lending firm Webster Business Credit Corporation; the equipment finance firm Webster Capital Finance Corporation; and provides health savings account trustee and administrative services through HSA Bank, a division of Webster Bank. Member FDIC and equal housing lender. For more information about Webster, including past press releases and the latest annual report, visit the Webster website at www.websterbank.com or follow us on LinkedIn linkedin.com/company/ webster-bank and Twitter twitter.com/ WebsterBank. 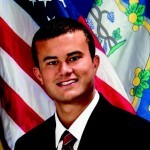 Sen. Linares urged residents to email comments to Pura.Executivesecretary@ct.gov . The email should include “Docket Number 14-05-06” in the subject line. Sen. Linares urged those who do not have access to email to contact his office at 800 842 1421 so that he can help pass along their concerns to state officials. Troop 13 – Boy Scouts of America would like to congratulate Deep River resident Bobby Neil Hamblett for earning the rank of Eagle Scout. 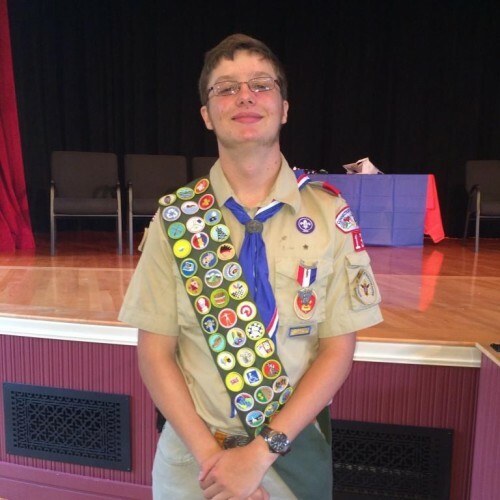 An Eagle Scout Court of Honor was held for Bobby on August 15, 2014 at the Deep River Town Hall Auditorium. To become an Eagle Scout, Bobby earned 28 merit badges and advanced through the seven scout ranks by learning Scout and Life skills while simultaneously providing leadership to his Troop and service to his community. One of the final requirements for the Eagle Rank is to show leadership in and complete a service project that benefits the boy’s community, school, or religious institution. Bobby showed leadership over others by developing and implementing a plan to clear and grade an existing aged tree stump and sod area to replace it with a commemorative live pin oak and a newly laid handicapped accessible brick patio with two reflecting benches at the entrance to the Deep River Elementary School. To complete this project Bobby worked with various municipal agencies, attended meetings with the Deep River Board of Selectmen, secured donations for supplies and designed and oversaw volunteers through the planning and construction period. This project is a benefit to the Deep River Elementary School staff and students and all Deep River residents and their guests visiting the school grounds. On Friday Democratic State Senate Candidate Emily Bjornberg, a mother with two children in the Lyme public schools, proudly announced the endorsement of her campaign by Connecticut’s public school teachers. 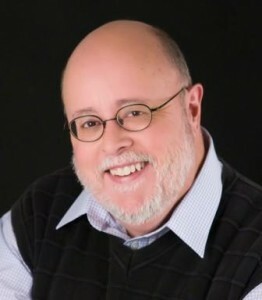 Both the Connecticut Education Association (CEA) and the Connecticut affiliate of the American Federation of Teachers (AFT) have voted to endorse Bjornberg for the November 4th General Election. The organizations collectively represent all of Connecticut’s public school teachers. “Parents, administrators, teachers and taxpayers must work together to provide better schools and a brighter future for our students. Emily Bjornberg will work hard to help our teachers succeed, and ensure our schools have the resources they need to educate the next generation,” said CEA President Sheila Cohen. “We need someone in the State Senate who will work with her colleagues on issues important to working families. Whether it’s reclaiming the promise of education, expanding access to quality, affordable healthcare, or preserving vital public services, Emily will help clarify the conversation, not muddy the political waters,” said Melodie Peters, president of AFT Connecticut, which also represents public schools’ support staff, nurses and healthcare workers, higher education faculty, and state and municipal employees. “It is critically important that we stand up and fight for additional state education aid for our small towns. Too many of our school districts have not gotten their fair share of education funding, and that has put upward pressure on property tax rates. Our children deserve better, and our seniors and others on limited fixed incomes need a break,” added Bjornberg. OLD SAYBROOK — The Estuary Senior Center is looking for crafters for its annual Holiday Craft Fair. 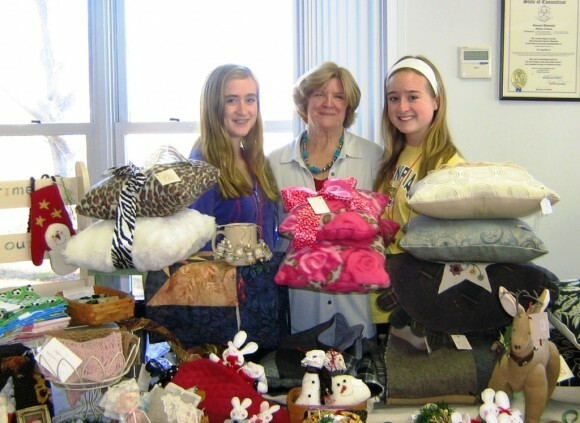 The Fair will be held on November 22, 2014 from 8 am to 1 pm, at the Senior Center located at 220 Main Street in Old Saybrook. Space is available to local crafters with hand crafted items for a $20 donation. Space is limited and filling quickly. Call Mike or Judy at 860-388-1611 to reserve your space. On Thursday August 21, 2014 Senator Linares received the endorsement from the Independent Party. Linares’ name will now appear twice on the ballot, as both the chosen candidate for the Republican Party and the Independent Party. Senator Linares, who has been working non- stop on his re-election campaign, has already visited residents in all 12 towns in his district. He plans to continue his door to door campaign up until Election Day. Senator Linares has been very visible throughout the district and his campaign staff has also attended numerous fairs with the Senator. In addition to the many fairs and festivals, Senator Linares also has attended numerous parades in the district. Senator Linares represents the towns of Clinton, Westbrook, Old Saybrook, Colchester, Portland, East Hampton, Essex, Deep River, Haddam, East Haddam, Chester, Lyme. ESSEX— A town cease and desist order issued earlier this year to resident John Finkeldey for alleged zoning violations with a structure at his 33 Plains Road property has been rescinded after Finkeldey agreed to file applications with the zoning commission to resolve the zoning issues. The action by Zoning Enforcement Officer Joseph Budrow came Tuesday, the day the zoning board of appeals was scheduled to reopen a public hearing on the order that began in June. After months of discussion with Finkeldey that followed a complaint, Budrow last winter issued an order charging that Finkeldey had built a structure on the property without permits from the town, and that the structure was improperly being used as a residential dwelling in the town’s limited industrial zone. 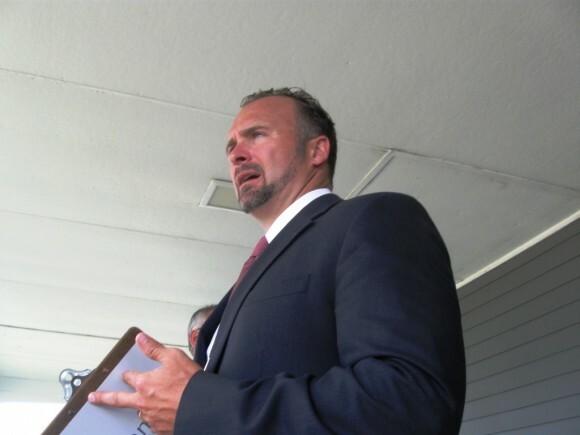 During a two-part hearing before the ZBA where he was represented by local attorney Terrance Lomme, Finkeldey maintained the structure had been in place for more than three years without enforcement action from the town, a lapse that would make it a legal, non-conforming structure. The issue of residential use in the limited industrial zone remained unresolved when the last public hearing recessed on July 15. Lomme also serves as the elected judge of probate for the nine town region. Michael Wells, lawyer for the ZBA, distributed a report from Budrow that was received Tuesday advising the board the cease and desist order had been rescinded. Budrow reported that a recent meeting between he and zoning commission attorney Peter Sipples with Finkeldey and Lomme had established a “path to zoning compliance” that would end the alleged zoning violations. Budrow advised that the zoning commission had concurred with the decision to rescind the cease and desist order. Under the agreement, Finkeldey would be required to apply with the commission for a zone change from limited industrial to residential for a section of his property, and to apply for a resubdivision that would separate the disputed structure from the rest of the parcel. If the zone change and resubdivision was approved by the commission, the zoning issues on the property would be resolved. Budrow could not be reached later this week for further comment on the resolution of the case. CHESTER— A grant application for up to $1 million in state funding for a planned new library at North Quarter Park will be ready for submission by an August. 29 deadline. The town will learn by mid-November whether it has been awarded the funding. First Selectman Edmund Meehan said two volunteer committees working on the project, the North Quarter Park planning committee and the library building committee, have concurred on a plan to construct a two-story, 5,600 square-foot library building on the front section of the 22-acre park on the east side of Main Street. He said the board of selectmen should be ready to approve the plan, and sign-off on the grant application, at a special meeting on Aug. 26. The town’s application will be filed with the State Library Board by the Aug. 29 deadline. Meehan said the successful completion of the grant application, which required decisions on a location and conceptual preliminary plans for the library building, required a focused effort by the two committees over the past three months. “The pieces of these two projects have really come together,” he said. The North Quarter Park planning committee worked with landscape architects Richter & Cegan Inc. of Avon to prepare a master plan for the entire park that included a proposed library location. The master plan for the park was presented to residents at a July 9 public information meeting. The building committee worked with LLB Architects of Pawtucket, R.I. to prepare the preliminary building plans. Meehan said approval of the grant funding would cover a significant portion, but not all, of the costs involved in building a new library that would replace the existing 108 year-old library building on West Main St. (Route 148). He said an up front appropriation of town funds would be needed to pay for completion of bid documents for the project by next spring, while additional town funding would also be needed for the total construction costs. He said a possible bonding authorization for the library project could go to the town voters for referendum approval in 2015. State Senator Linares recently issued a press release calling for hearings on recent infant fatalities in families having dealings with the Department of Children and Families (DCF). Few would dispute the importance of understanding why these deaths occurred, and whether DCF can be doing a better job. But where was Linares’ concern for children when he voted against the Newtown gun control bill, saying he hadn’t read it? More recently, where was his concern for children when he used his position – some might say abused his position – to appoint a paid representative of companies that manufacture cadmium-containing jewelry to a panel looking into health issues presented by cadmium in jewelry intended for children? Linares voted against a ban on known carcinogens in children’s clothes, and opposed efforts to create a watch list of chemicals of high concern to children. He was also one of only two Children’s Committee members to vote against a ban on spraying toxic pesticides at all Connecticut schools. His concern for the safety of children is not at all obvious given his voting record and appointments. Senator Linares’ opponent, on the other hand, seems to be genuinely concerned for children’s safety. Emily Bjornberg is the mother of children ages 4 and 7, and for the past seven years has been the Youth and Family Ministries Director of the Deep River Congregational Church. Her concerns mirror my own and she will get my vote in the November election for State Senator. 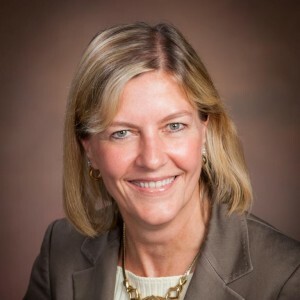 ESSEX — Gregory R. Shook, President & CEO of Essex Savings Bank is pleased to announce the promotion of Diane H. Arnold to the position of Vice President/Senior Commercial Loan Officer. Mrs. Arnold is responsible for business development and portfolio management, as well as assisting in the growth of the commercial loan department by utilizing her thirty one years of broad banking experience. 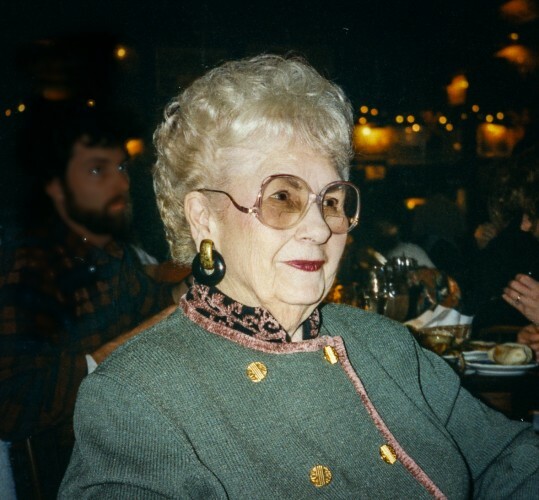 Mrs. Arnold previously served as the Vice President of Southington Savings Bank from 1993 until 2001 where she managed the credit department. From 1988 to 1993, Arnold served as the Assistant Treasurer and Commercial Loan Officer at Branford Savings Bank. Mrs. Arnold earned a Bachelor of Science degree in Economics from Quinnipiac College. She is also a 1990 graduate of the Connecticut School of Finance and Management. Mrs. Arnold is a resident of Ivoryton. Bailey Baisel receives her scholarship from the Chester Fair. The Chester Agricultural and Mechanical Society (Chester Fair) Board of Directors is pleased to announce its 2014 Scholarship winners. 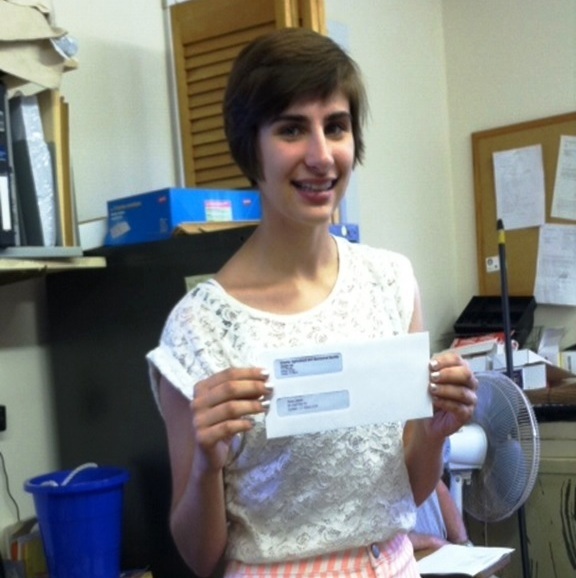 This year there are three recipients, each receiving a $500 scholarship for the 2014-15 academic year. Bailey Basiel of Durham, participated in the Chester Fair for several years entering her dairy cows. She will be attending University of New Hampshire in the fall. Aliza Dube of Deep River is currently enrolled at the University of Maine in Farmington and has completed her freshman year. She is majoring in elementary education. The third recipient, Stephanie Groves of Wallingford, is attending Springfield College and studying to be a Physical Therapist. A portion of the proceeds of the Chester Wine and Beer Tasting Event held in June is applied toward this scholarship fund. Scholarship applications are accepted though May 15th annually. Application forms and instructions can be found under ‘About Us’ (Forms and Instructions) at the fair’s website: www.chesterfair.org. 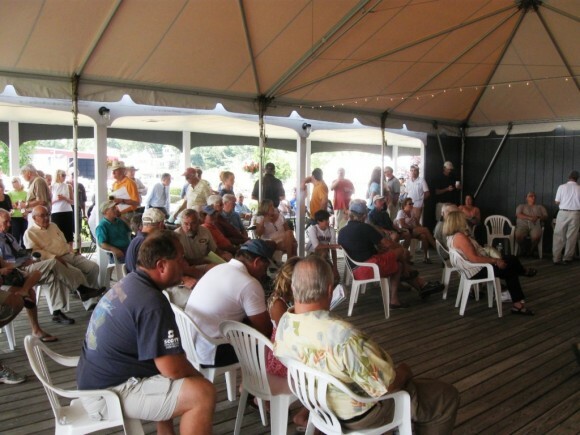 ESSEX -– The Connecticut River Museum is proud to announce its 2014 class of incoming trustees. At the annual meeting on July 11 the Board and Membership of the Museum voted in five new trustees to help manage and oversee the National Register Historic site and museum. The new trustees include Alison Brinkmann, Peter Coombs, Linda Douglas, Ray Gaulke, and Dr. Allan Rubenstein. Alison Brinkmann is a resident of Essex where she lives with her husband Stephen. Before dedicating her time to charitable work, she was a specialty chemical and laboratory supply sales executive. Now, in addition to being the Founder and President of Simply Sharing, a non-profit dedicated to helping the homeless in Connecticut, Alison is also actively involved with the Rotary Club of Essex, sits on the Essex Yacht Club House Committee and serves as membership chair of the Essex Historical Society. 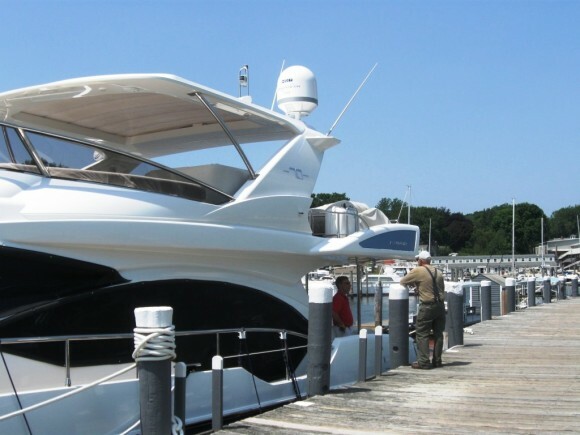 Alison and Stephen enjoy outdoor activities such as hiking and boating in the Essex area. Peter Coombs is a resident of Essex where he and his wife Jane Siris are Principal Partners in Siris/Coombs Architects. The couple had practiced architecture in Manhattan for 30 years and recently moved the firm’s main office to Essex. They live in a house which they designed for themselves and built on the site of the family homestead. Peter also serves on the Board of Directors for Essex Elderly and Affordable Housing and is an active member of the Essex Land Trust. 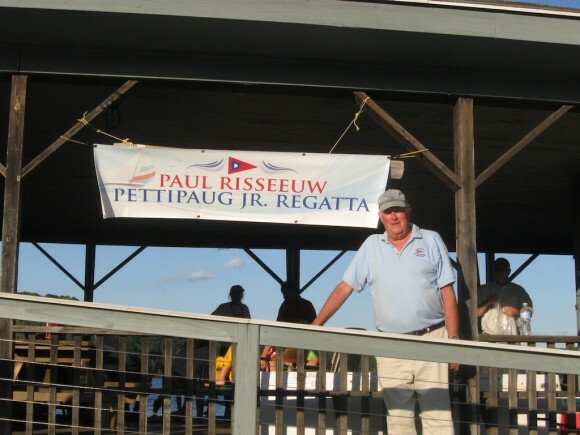 He is a sailor and has plied the waters of the Connecticut River since childhood where he derived an abiding interest in both the conservation of the River’s environment and its rich history. Linda Douglas has practiced law in the Essex area for 28 years. She has been an active member of the community where she and her husband Rob raised their three children. 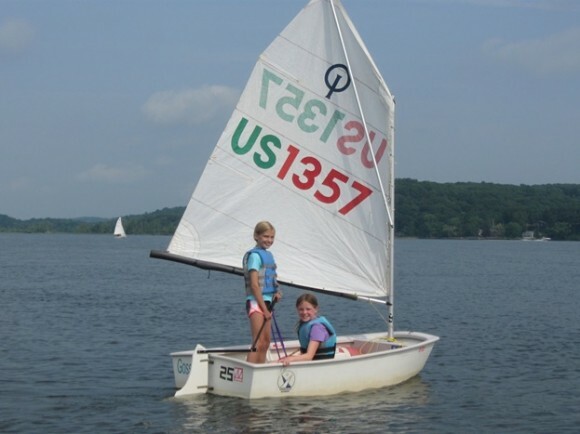 The family enjoys sailing and boating on the Connecticut River. Ray Gaulke is a resident of Old Saybrook where he lives with his wife Sydney Anderson and their five year old standard poodle Riley. Ray was one of the original Mad Men, beginning his advertising career in Chicago in the mid 60’s. 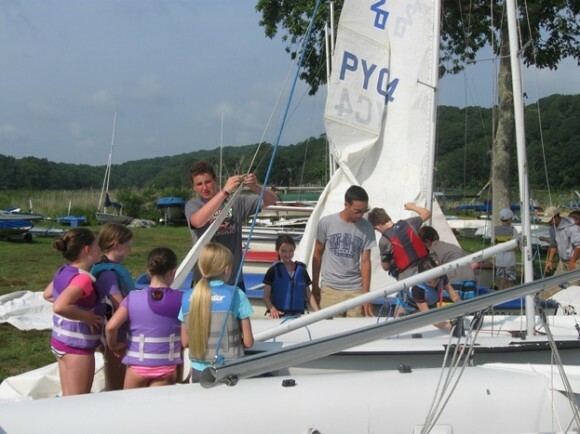 He is a retired Navy Captain, an avid sailor turned power boater and a boat builder interested in teaching these skills to young people. Dr. Allan Rubenstein is Clinical Professor of Neurology and Pediatrics at NYU Langone Medical Center, Vice Chairman and Lead Director of The Cooper Companies (COO, NYSE), and Chairman of CalAsia Pharmaceuticals. He, his wife Jane and son Jordan live in Manhattan and Killingworth. 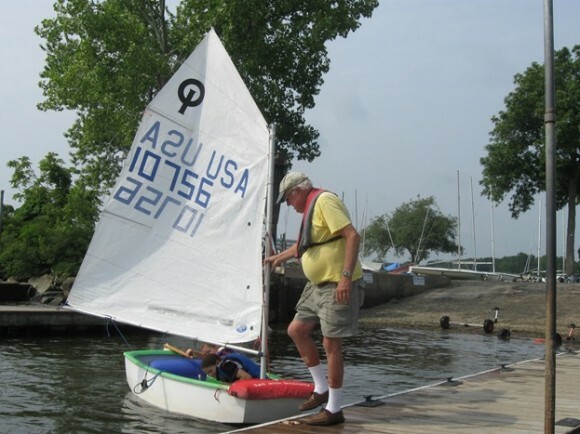 Rubenstein has had a life-long interest in all things nautical since he built a raft at the age of 11 and attempted to sail (unsuccessfully) from his home on Lake Erie to Europe. Founded in 1974, the Connecticut River Museum has developed as a place where anyone interested in topics about the River can come and be inspired through exhibitions and collections, a library, educational opportunities and public programs. The Connecticut River Museum’s mission is to lead in the study, preservation and celebration of the cultural and natural heritage of the Connecticut River and its valley. Since 1986 it has had the honor of being accredited by the American Alliance of Museums, a mark of distinction in the field. 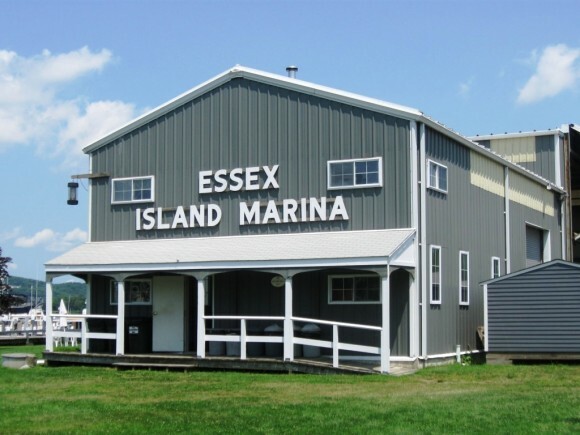 The Museum was started with the preservation of the 1878 Essex Steamboat Dock and Warehouse. Threatened with demolition, the building was saved through preservation efforts by a group of history-minded citizens. Adjacent to Steamboat Dock sat another historic property, the Hayden Chandlery, built in 1813. In 1982 the building was restored and renovated as the Thomas A. Stevens Library. ​The Museum nearly doubled its campus in 2011 with the purchase of the adjacent historic 1732 Samuel Lay House property. Education is central to the Museum’s mission. Public programs take many forms including workshops for school age children, adult lectures, and on-water excursions aboard the schooner Mary E and Enviro-Lab III ​as part of its popular winter Eagle Watches. Over the past year, the museum has served more than 20,000 general visitors, delivered programing to 3,0​00 school children, and provided scholarship support to ​more than 900 underserved school children and summer campers. 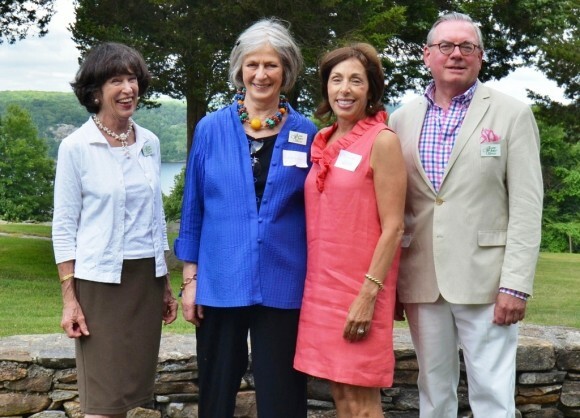 According to the museum’s executive director, Christopher Dobbs, “We are pleased to have this talented crew of dedicated ​champions join the museum board and help lead it successfully into the next forty years.” For more information, please call 860-767-8269. The Connecticut River Museum is located on the Essex waterfront at 67 Main Street and is a membership supported educational organization. Membership is open to all. More information can be found at www.ctrivermuseum.org. DEEP RIVER— There could be a development proposal for a 59-acre parcel on the east side of Route 154 that was rezoned industrial in 2006. If the plan proceeds, it could bring a new manufacturing building of up to 100,000 square feet to Deep River with the possibility of additional industrial buildings to follow. First Selectman Richard Smith reported at Tuesday’s meeting of the board of selectmen that he has been in contact with owners of a manufacturing company in a nearby town that are considering acquiring the parcel to relocate and expand in Deep River. He said the name of the interested party would be announced in the coming weeks if the potential sale of the parcel proceeds. The 59 acre parcel, located on the east side of Route 154 near the intersection with Kelsey Hill Road, was rezoned by the planning and zoning commission from residential to industrial in 2006 at the urging of the late local developer Walter Mislick. Mislick, who died soon after the rezoning, envisioned an access road that would service a new industrial park with up to five buildings. Mislick, who began his business career as owner of an egg processing company, had developed an industrial park on the opposite side of Route 154 during the 1990’s. The land, which abuts the Canfield Woods Nature Preserve to the east and the Georgetown Apartments property to the north, is now being offered for sale by Mislick’s heirs for a current price of $1.5 million. The parcel has some frontage on Route 154, and would have access to water and sewer service if developed. Smith said the interested party currently operates a 50,000 square-foot manufacturing facility with nearly 100 employees in a nearby town, but is unable to expand at the current location. He said development of the property, which includes some wetlands areas, would be costly, requiring a 1,000-foot access road and a crossing of the state-owned Valley Railroad tracks. If the sale proceeds, Smith said he would recommend the town offer a tax abatement to help facilitate the development. State law allows a municipality to abate up to 50 percent of all local property taxes for a new industrial development or expansion for a period of up to seven years. Deep River has authorized similar tax abatements for industrial development or expansions previously, but for shorter time periods. “I see it as a win even with an abatement if you’re not getting anything to begin with,” Smith said. The board urged Smith to continue his contacts with the unidentified interested party and the Mislick family. “It would be great to get some activity back there”, said Selectman Angus McDonald. DEEP RIVER— A mild earthquake early Thursday that registered at 2.7 on the Richter Scale was centered in Deep River. The earthquake, which was confirmed by the U.S. Geological Survey, occurred around 3:09 a.m. and caused no reports of damage. AREAWIDE— Party-endorsed candidate Tom Foley of Greenwich carried Chester, Deep River, and Essex Tuesday on his way to a statewide Republican gubernatorial primary win over his challenger, State Sen. John McKinney of Fairfield. As was the case statewide, voter turnout was extremely low in the three area towns. The vote in Chester was Foley-41, McKinney-36. In Deep River, Foley 64, McKinney-53, and in Essex Foley 216, McKinney-121. But tri-town Republicans showed a preference for challengers in the close three-way contest for the GOP Lt. Governor nomination, with Groton Councilwoman Heather Bond Somers carrying the towns over the convention-endorsed candidate, State Rep. Penny Bacchiochi of Stafford and David Walker of Bridgeport, who was running as a team with McKinney. In Chester, Walker led with a vote of Walker- 34, Bacchiochi-26, and Somers-17. In Deep River, Somers led, with a vote of Somers-59, Bacchiochi-32, and Walker-24. Somers also carried Essex, with a vote of Somers-145, Bacchiochi-98, and Walker-88. Party-endorsed candidate Sharon McClaughlin carried all three towns in her statewide win over challenger Angel Cadena for the Republican nomination for state comptroller. In Chester, the vote was McClaughlin-53, Cadena-18, in Deep River, McClaughlin-75, Cadena-28, and in Essex McClaughlin 237, Cadena-65. Voter turnout was extremely low, particularly in Chester, where only 77 of 458 registered Republicans turned out Tuesday. In Deep River, the turnout was 117 of 600 registered Republicans. In Essex, turnout was 337 of 1,317 registered Republicans. 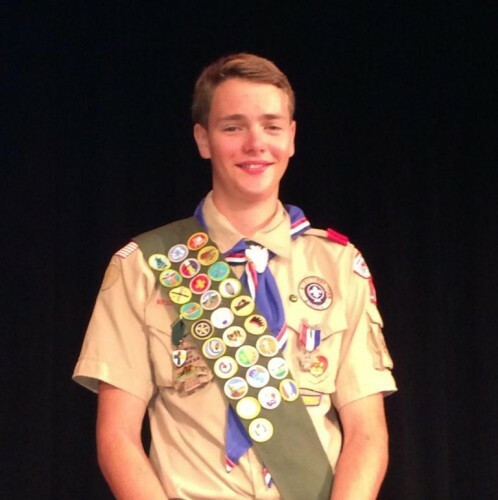 Troop 13 – Boy Scouts of America would like to congratulate Josef Fenton Lenz for earning the rank of Eagle Scout. An Eagle Scout Court of Honor was held for Josef on July 26, 2014 at the Deep River Town Hall Auditorium. To become an Eagle Scout, Josef earned 45 merit badges and advanced through the seven scout ranks by learning Scout and Life skills while simultaneously providing leadership to his Troop and service to his community. One of the final requirements for the Eagle Rank is to show leadership in and complete a service project that benefits the boy’s community, school, or religious institution. Josef showed leadership over others by developing and implementing a plan to establish and mark a new 0.3 mile long foot trail located at the Florence Bidwell Sanctuary on Rattling Valley Road in Deep River. The project included fabricating and mounting a trail map on a cedar post at the site entrance and the clearing and placement of two processed stone parking spots on an underutilized 12.8 acre property of the Deep River Land Trust. While working on the project Josef worked with various municipal groups, attended and presented at meetings, secured donations for supplies, designed and oversaw volunteers through the construction and installation period. This project has enabled the development of recreation features to a lightly used open space parcel making it more accessible for both education and recreation uses by schools, youth groups and the general public. Peter Amos, president of the Board of Trustees of Essex Winter Series, has announced that Paula Anik of Essex, Madeleine Nichols of Lyme, and Henry Resnikoff of Essex were recently elected to the board of the organizatioin. In addition, Janice Atkeson, who has served on the board since 2012, was elected vice president. Paula Anik has strong ties to music and has been a member of Essex Winter Series. Her father was a classically-trained vocalist who toured with the USO entertaining troops. Paula’s eldest daughter is also a classically trained vocalist. Paula has lived in Boston, Los Angeles and Essex, where she now resides with her husband, Joel. Paula is a retired residential real estate broker. She has served on various charitable committees in a fund-raising role. Madeleine Nichols, an interior designer, was born in Budapest, Hungary, and attend Hungarian University of Fine Arts. She has lived in Cairo, Egypt, and Athens and is fluent in in numerous languages. She has been professionally involved with antiques and interior design for nearly thirty years in New York and Connecticut, and is currently as Associate with Jonathan Isleib Design of Old Lyme and owner of MWN Interior Design. Henry Resnikoff is a professional real estate developer and has developed commercial, residential, industrial and assisted living properties throughout the Northeast and Mid Atlantic states. He was born and raised in New London where his father was also a real estate developer. With the exception of four years, Henry and his wife Daphne Nielsen have lived in Essex since 1978, currently on Ingham Hill Rd. They have 4 grown sons. 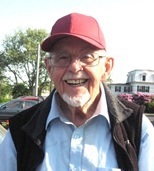 Bringing world-class classical and jazz music to the shoreline area was the dream of Fenton Brown, who established the Essex Winter Seriesin 1979. Each year, the Essex Winter Series presents a series of concert performances by top-rated musicians from around the world. These concerts, held primarily at Valley Regional High School in Deep River, are presented on Sunday afternoons in January, February and March. A single season may include a mix of such performances as instrumental soloists, opera singers, chamber orchestras, and jazz bands. First Selectman Norman Needleman announced the new effective date for changes at the transfer station at a meeting of the board of selectmen last week. The selectmen had approved the new site rules and fees last winter, but the effective date for the changes has been pushed back as town personnel prepare to implement the new system. As of Oct. 1, the current pay-per-bag system for residents using the site for disposal of household trash will end, along with all other cash transactions at the facility located off Route 154 near the Route 9 exit four interchange. Resident users will be required to purchase a use sticker for their vehicle at a cost of $125 per year, with a reduced change of $75 per year for senior citizens. Occasional users will be allowed to purchase a book of stickers at a price of $25 for ten trips to the compactor site. All payments must be made by check or credit card, ending the need for site personnel to handle cash paid for use of the site. The plan also includes higher fees for disposal of bulky waste and demolition materials, but there will be no charge for disposal of recyclables, including bottles, cans, plastics, newspapers and magazines. In other business last week, selectmen approved a transfer of funds remaining in a legal services account for the now defunct sanitary waste commission to the legal budget for the water pollution control authority. Voters at a town meeting in June approved a revised ordinance dissolving the sanitary waste commission, ending an arrangement dating to the early 1990s where the town maintained an appointed joint sanitary waste commission/water pollution control authority. Under the previous ordinance, the sanitary waste commission helped supervise the solid waste transfer station and town recycling efforts, while the WPCA directed the town’s water pollution control and sewer avoidance efforts. With the funds transfer, which also requires approval from the board of finance at an Aug. 21 meeting, $4,000 remaining in the sanitary waste commission legal account will be added to the $5,000 that is in the legal budget for the WPCA for a total legal account of $9,000 for the WPCA in the current fiscal year that began July 1. LYME, CT – In hopes of promoting widespread public discussion of state and local issues, Democratic State Senate Candidate Emily Bjornberg proposed today that she and her Republican opponent hold twelve public debates before theNovember 4th General Election, one in each town of the 33rd State Senate District. Nearly 15 days after the Senator Art Linares’ campaign for re-election announced it had reached its campaign funding goal, the state has certified State Senator Art Linares, R-33rd, for public financing. Campaign Manager Ryan Linares told a group of volunteers at a July 31st orientation meeting, “We surpassed the required number of in-district donors by a huge margin in comparison to two years ago.” he said. He added that Senator Linares has been getting an enthusiastic reception everywhere he goes within the district. Senator Linares has personally knocked on 2,000 doors in the district so far, about 300 more than his marker at the same time two years ago, Ryan Linares shared with the group of 13 volunteers. “What we have learned is that the people of this district are well in-tune with what is happening in Hartford. When the Senator meets constituents at the doors they have concerns and the Senator has answers” he said. The volunteers attending the orientation represented all 12 towns within the 33rd Senatorial District. Anyone else interested in volunteering can send an e-mail to senatorlinaresmanager@ gmail.com. ESSEX— State troopers quickly apprehended a suspect Saturday morning minutes after he allegedly robbed the Bank of America branch at the Bokum Center Shopping Plaza. Joshua Green, 33, of Niantic, was arrested on Route 153 (Plains Road) soon after the robbery was reported around 10 a.m. Saturday. Green was northbound approaching the Route 9 exit 3 interchange when the Subaru station wagon he was driving was stopped by two troopers. He was arrested and charged with third degree robbery, first degree larceny, and operating a motor vehicle without a license. Police report a “large amount of stolen currency,” was recovered from the vehicle. Green was held over the weekend at the Troop F barracks in Westbrook for arrangement Monday at Middletown Superior Court. ESSEX— Lynn Giroux of Essex Savings Bank has been named a 2014 Woman of FIRE by The Commercial Record. Women of FIRE is an annual award that recognizes the key, female players in the local FIRE (Finance, Insurance and Real Estate) sector. 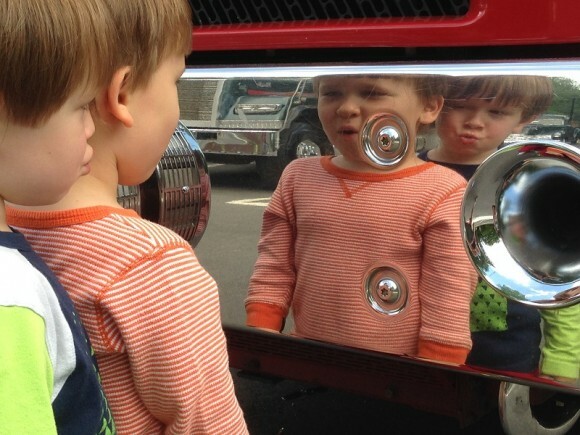 The annual Women of FIRE award celebrates the best and the brightest women in the industry. 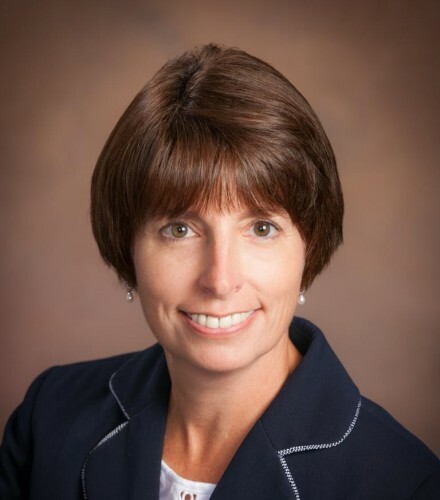 Lynn is a Senior Vice President and Chief Administrative Officer at Essex Savings Bank responsible for Deposit Service Operations,Branch Administration, Compliance, Human Resources and Facilities Management along with numerous other duties. She also makes time to serve our community on the Board of Camp Hazen YMCA, is a member of the Society for Human Resource Management, and is an ambassador to the Middlesex Chamber of Commerce. “Lynn has made an outstanding difference at our bank, for our staff and the community. Her positive attitude while balancing multiple disciplines is amazing. In this year alone, she has handled human resource management – where she has overhauled the Bank’ssalary structure, implemented due diligence procedures for the Bank Secrecy Act, managed the renovation of our Old Saybrook branch, has served as compliance officer with responsibilities for the labyrinth of new regulations for Consumer Finance Protection Bureau, the Dodd- Frank Act and implementation of remote deposit capture andother business banking enhancements all on top of her everyday Branch Administrative duties… She is an inspiration to all of us here at the Bank, well respected in our community – I can think of no one more deserving of this award, “stated Gregory R. Shook, President and CEO of Essex Savings Bank. Lynn was one of 13 women named this year’s Women of FIRE. The Commercial Record is shining a light on the female innovators who are making a significant impact on the finance, insurance and real estate (FIRE) industries. There is a growing amount of women who are paving the way in what was once a male-dominated sector, and as more and more women rise to the top of these industries, their achievements should be illuminated, acknowledging them and inspiring others. The awards luncheon will be held at The Hartford Club on August 20th from 11:00 a.m. to 2:30 p.m. Commissioner Evonne M. Klein will give the keynote speech. The Commercial Record will be running profiles of each woman in a special section in the August issue. ESSEX— The board of selectmen is expected to receive a report in August detailing capital projects that could total over $6 million. The report is expected to set the stage for community debate on a bonding authorization resolution that could go to town voters before the end of the year. Selectman Bruce Glowac said this week the five-member advisory capital projects committee is working to complete a final report for submission to the board of selectmen at its Aug 19 meeting, Glowac, a Republican and former first selectman, has chaired the capital projects committee since he assumed the minority party seat on the board of selectmen last November. Glowac said the report would include specific cost estimates for each project. “We hope to have some pretty firm numbers to go forward with the various projects,” he said. But Glowac stressed the list of projects is subject to change as it is reviewed by the board of selectmen and board of finance in September. “We have not settled on any amounts yet,” he said. 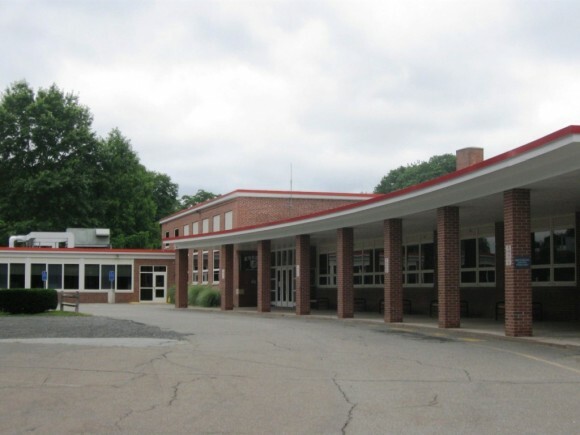 Glowac said the top priority projects are replacement of most of the roof at Essex Elementary School, and replacement of town bridges on Ivory Street and Walnut Street in the Ivoryton section. Glowac said projects related to the elementary school and the two bridge projects would be eligible for state and federal grants that would reduce the final expense for the town. Essex Elementary School: New Roof: a High Priority Capital Project (photo courtesy of Jerome Wilson). Glowac said the preliminary list includes other improvements at the elementary school, which was built in 1952 and last renovated and expanded in 2006. The possible improvements include air conditioning for a building that is now used year-round, repaving of the school driveway and some parking areas, and improvements to the school media center. The library/media center was relocated to a former gymnasium after a renovation in the 1990s, but the floor under the media center contains final pockets of potentially hazardous asbestos material. Glowac said the asbestos must be removed before any other possible improvements to the media center are considered. The list also includes improvements at town hall, including roof replacement, air conditioning, new energy efficient windows, and an upgraded fire and security alarm system. The town hall, built in 1892 as the former Pratt High School, has had some renovations in recent years. The list could also include improvements at the town public works garage located off Route 154, which was first constructed in the early 1990s. The building also needs roof replacement, along with an upgrade of the heating system. Glowac said an initial cost estimate for the total list of projects came in at $6.5 million, a figure that could be reduced by $2-$3 million in state and federal grant funds. He added that some projects on the preliminary list could be removed from the final list of proposed projects that would be presented to town residents at a public hearing this fall. Glowac said it is too soon to predict when a bonding authorization resolution to fund capital projects would be presented to town voters for approval in a referendum. The University of New Haven announced Thursday that it has finalized its affiliation with Lyme Academy College of Fine Arts, making the fine arts school in Old Lyme the university’s sixth college. The Board of Governors of the University of New Haven and the Board of Trustees at Lyme Academy College approved the affiliation in early April. The Connecticut Office of Higher Education and the New England Association of Schools and Colleges also approved the affiliation. Since that time, both institutions have worked to merge their student services, faculty units and other support and operating systems. Those integrations will continue through the upcoming academic year. Todd Jokl, associate professor and past chair of the UNH Department of Art and Design, will serve as the campus dean at Lyme Academy College. 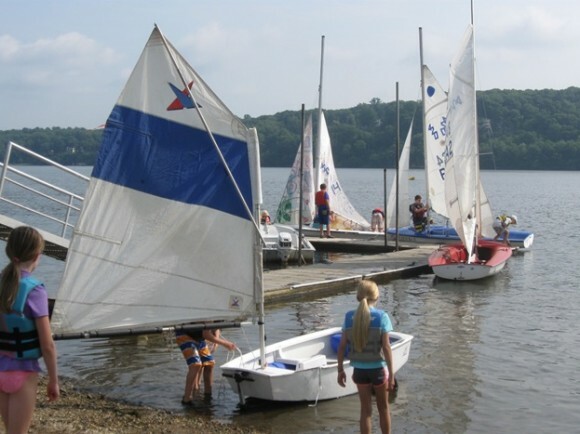 Jokl will be based at the College in Old Lyme. Jokl received his bachelor’s degree from Yale University and his Master of Fine Arts degree from the University of Connecticut. The affiliation presents many advantages to both institutions. Lyme Academy College will benefit from the operational breadth and depth of the University of New Haven, gaining access to an expanded range of liberal arts courses and complementary UNH art programs, such as design and digital media. The University of New Haven also offers study-abroad opportunities at its campus in Tuscany, Italy, where Lyme Academy College students can attend classes. Lyme Academy College students also will gain access to the university’s broad liberal arts program and new learning opportunities. Administrators have said that little will change regarding the student experience at Lyme Academy College. The small classes will be retained, and students will continue to be provided the hands-on experiences and the opportunity to become immersed in figurative and representational art. But through the affiliation, students will be provided access to more courses, technologies and academic initiatives that will strengthen their educational experience. The University of New Haven will add Lyme Academy College’s high-quality Bachelor of Fine Arts (B.F.A.) program to its curriculum, making it possible for UNH students to study painting, sculpture, drawing and illustration. The university does not currently offer a B.F.A. “Our university is known for the unique experiential programs it offers to students,” Kaplan said. “The program at Lyme Academy College fits in well with our rapidly expanding offerings at our main campus in West Haven, our new campus in Orange, and our international program in Italy. “We are determined to protect and preserve the mission of Lyme Academy College, retaining the unique qualities that appeal to students seeking an arts degree in an idyllic, rural setting that nurtures creativity,” he added. The University of New Haven is a private, top-tier comprehensive institution recognized as a national leader in experiential education. The university has 80 degree programs at the associate, bachelor’s, master’s and doctoral levels. Founded in 1920, the university enrolls approximately 1,800 graduate students and more than 4,600 undergraduates. Lyme Academy College of Fine Arts is nationally known for its academic tradition of figurative and representational fine art that prepares students for a lifetime of contemporary creative practice. The college offers bachelor of fine arts degrees in drawing, illustration, painting, and sculpture (full- and part-time study); certificates in painting and sculpture, a post-baccalaureate program; continuing education for adults; and a pre-college program for students aged 15-18. HARTFORD – In light of the tragic and unsettling Child Fatality Review Report, released yesterday by the Office of the Child Advocate (OCA), State Senator Art Linares (R-Westbrook) is renewing his call for a public hearing to review the recent child fatalities involving children under the care of the Department of Children and Families (DCF). The report identified 24 infant and toddler deaths among families with DCF involvement. The review also discusses recommendations to prevent future fatalities, including a recommendation to hold an annual public hearing on child fatalities along with a focused discussion on infant-toddler deaths. In a letter to the co-chairs of the Children’s Committee Linares again urged the committee to schedule a public hearing considering the report results. “Everyone needs to have a seat at the table when it comes to the safety of children. Legislators need to understand the short and long term needs of caseworkers and child advocacy officials. Caseworkers need to understand what policies would most benefit families. A hearing would allow us to better understand what is being done and what still needs to be done to put an end to these serious and devastating events,” said Linares. State Senator Art Linares represents the 33rd senatorial district comprised of Chester, Clinton, Colchester, Deep River, East Haddam, East Hampton, Essex, Haddam, Lyme, Old Saybrook, Portland & Westbrook. He serves as Ranking Member of the Committee on Children.